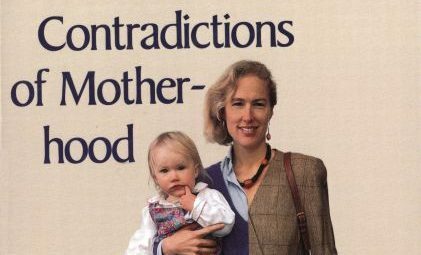 In The Cultural Contradictions of Motherhood (Yale University Press, 1996), Sharon Hays analyzes socially developed ideas about motherhood based on research and interviews she held with 38 mothers of children ages two to four-years-old. In her introduction, she makes it a point to stress that her discussion of motherhood is conducted from a place of emotional distance, especially since simply uttering the word “motherhood” is reacted to with tangled cultural and political responses. From this place of distance, or as she terms it “disinterested outsider,” she argues that “mothering [is] a historically constructed ideology…[that] serves the interests not only of men but also of capitalism, the state, the middle class, and whites” (x-xiii). In looking at motherhood as an ideology, Hays also finds that along with culturally defined motherhood as an ideology, there is also an ideology that women and our culture continue to perpetuate: intensive child-rearing. Hays begins her book with the conflict faced by a career woman named Rachel. When her two-year-old is hospitalized for an illness that is not deadly or too serious, Rachel insists on placing her career on the line to foster this idea of “intensive child-rearing” wherein the mother sacrifices everything, including her autonomy, to be by her daughter’s bedside. Hays uses this example to show that even though more women are in the labor force today, there is a sense, a deeply rooted belief, that women are not fulfilling their most important role in life if they are not nurturing and self-sacrificing. According to Hays, even though the number of working women rose from 12 percent in the 1950’s to 58 percent in 1993, our culture is still stuck on the cultural foundation of the separate spheres that place women in the private sector of the home and men in the public sector of the workforce. While women are joining men in the public arena of paid work, their lives continue to be centered on childcare as well as the “idea,” the ideology, that children need their mothers and that mothers must be selfless and put the needs of their children before their own. The contradiction that Hays refers to is not only this ideology that refuses to free women from its constraints, but especially that women, mothers—both working and non-working mothers—deeply believe in its tenets, which forces them to submit to the interior of the home and hearth, even though the work may be less straining and more freeing for them. Unlike men who enter the workforce, these mothers do not “fully assimilate to the logic of the marketplace…[and in turn] the commitment to emotionally demanding, financially draining, labor-consuming child rearing seems to be thriving” (4). Although some argue that this contradiction and subtle stress placed upon women can be alleviated by a revolution that insists men take care of the children and cooking, Hays recommends a more logical and rational resolution. Instead of adding to the commercialization and pressure of child-rearing, “a more logical solution would be an ideological revolution that makes tending home and children a purely…rationalized enterprise, one in which neither mother nor father need be highly involved” (5). This is interesting in that Hays clearly posits that the problem isn’t women or men, but rather the fact that we place so much emphasis on the needs of children, requiring—demanding—that at least one parent remains the primary caregiver in each household. In most cultures, women are assigned this menial role, which is glorified as a calling, a choice that fosters an idea rather than a reality. 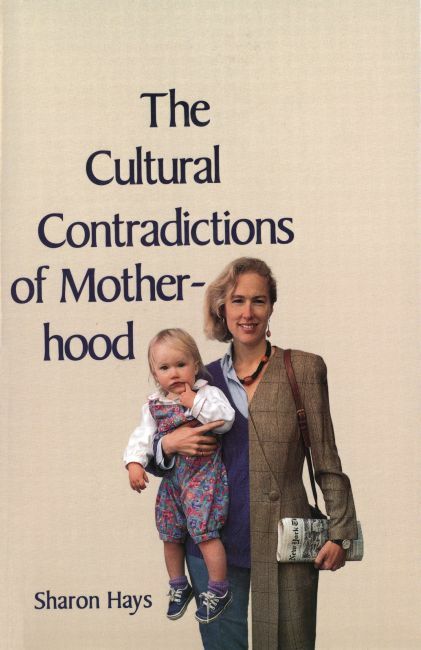 By presenting both motherhood and child-rearing as intensive, laborious, and culturally designed social constructs—ideologies that we have created and abide by and not natural inclinations—Hays applies a Marxist view of the marketplace and insists that “the logic of the market should be winning out and the ideology of the intensive mothering fading away” (153). But this is not true. If she were to study motherhood today, she would find even more women working, and even more of them contributing more to child care and selflessness than their partners. For some mysterious reason, the rational market is losing out to the doctrine of motherhood, and women are more than happy, like Rachel, to continue to sacrifice herself for the motherhood ideal.